Ah, mini fillo shells... 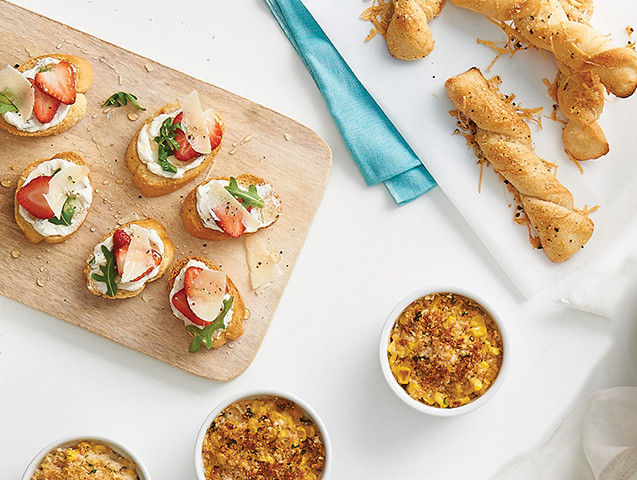 They always save the day when you need a quick party snack or appetizer. But we bet your guests have never had a bite like this before—it's an Italian inspired filling with a twist from crushed pineapple. Combine ricotta, mozzarella, egg, pineapple, Parmesan, green onion and dried mustard in a medium bowl. Slice prosciutto in half and line mini fillo shells. Fill each shell with about 1 tablespoon cheese mixture and bake for 12 to 15 minutes or until tops are golden.